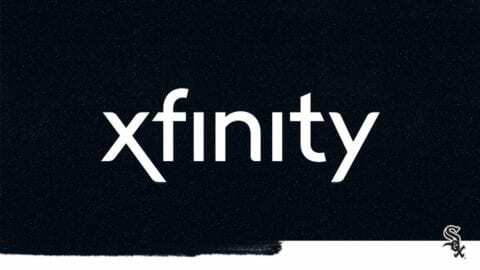 This season, the Chicago White Sox have expanded the club’s partnership with Comcast and will open the “Xfinity Zone” at U.S. Cellular Field. The new 2,200 square-foot bar and restaurant with digitally-advanced video technology on the 100 level of the ballpark is located near the right field corner of U.S. Cellular Field (across from section 112) and is set to open on Opening Day (Monday, March 31). The Xfinity Zone offers yet another food and drink option at White Sox games, while giving fans the opportunity to enjoy other games and other interactive activities on 12 flat screen televisions. 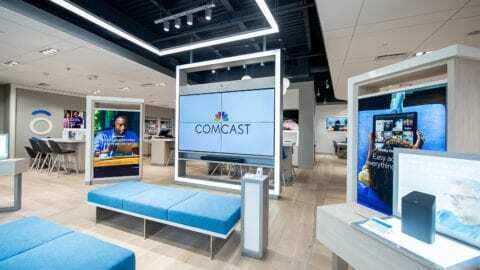 The new venue at the ballpark boasts a massive interactive social media wall, and provides fans the opportunity to experience Xfinity Internet and TV services, including the new X1 Entertainment Operating System, as well as explore a live demo of Xfinity Home, Comcast’s home security and automation platform. The Xfinity Zone will feature a complete food menu with new items such as the Ultimate Turkey Club and the Supreme Corned Beef, in addition to ballpark classics like hot dogs, sausages, fried mac and cheese bites, the walking taco and the Irish nacho helmet. 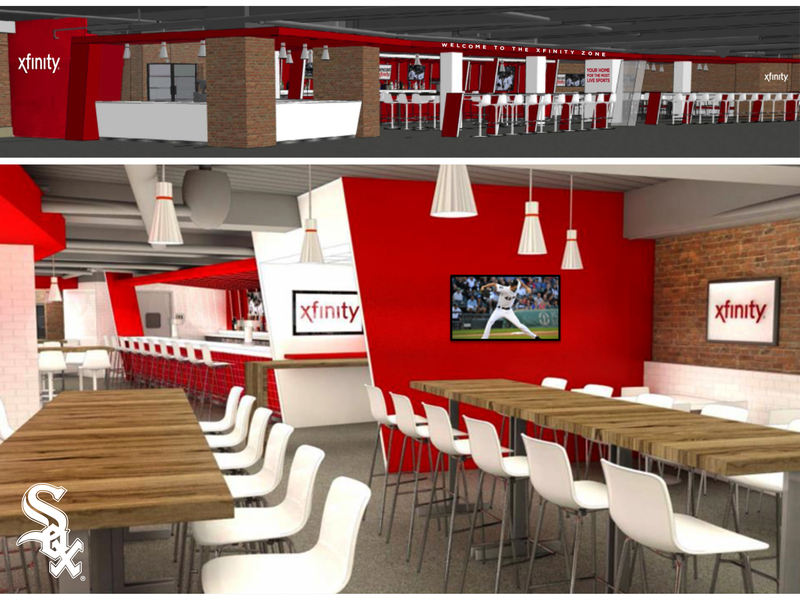 Fans will be able to enjoy their food with a beverage from a full-service bar in the Xfinity Zone, which will include draft, bottled or can American premium, import and craft beers, including MillerCoors products. The bar also will offer a variety of cocktails, wine and soft drinks. Food and drink service starts when the gates to the ballpark open and concludes in the seventh inning. The Xfinity Zone also will host behind-the-scenes game-day experiences for Xfinity. The new bar and restaurant joins Comcast’s existing 15,000-square-foot Xfinity Fundamentals Deck in left field at the ballpark, which opened in 2005 and is devoted to baseball skills and development of young White Sox fans.